PerformaFlex features 3 complete layers of our R-Foam™ additive enhanced, radiant barrier covered, polyethylene foam within a 4” outer casing. R-Foam has 40% higher thermal effectiveness than standard polyethylene foam. 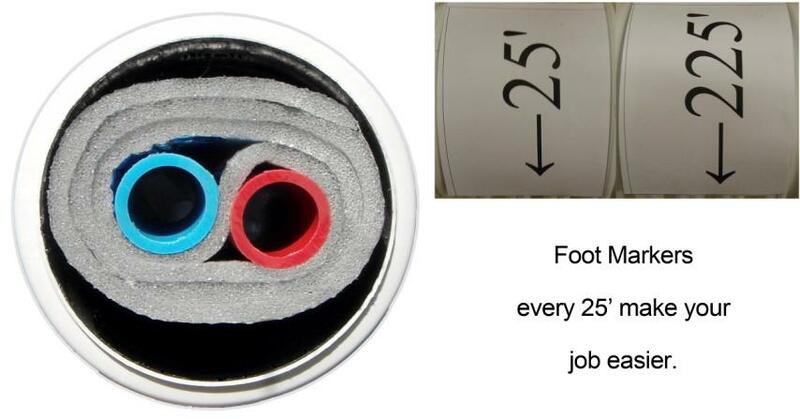 Z-Supply is the only underground supply manufacturer to give you the R-Foam advantage. We have our heavy duty outer casing manufactured to our specifications at 160 grams per ft. The white outer pipe makes quality control here at the factory and on site far easier so you can rest assured in the integrity of your install. 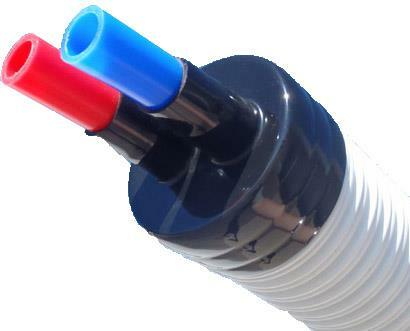 When you choose PerformaFlex you can be sure you are getting the best value in underground supply. Outer Casing 160g per foot and meets ASTM F405 Specifications. Avg. Wt. 210# per 250’ roll, .84# per foot. End Cap Available – for a professional install, dead air space, resists water infiltration.